Various workshops. The door at the right is the entrance to some of the garbage handling. The small extension to the left on the picture is the old jail (=Fengsel). 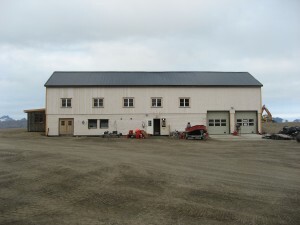 In 2010, this building has a new extension.